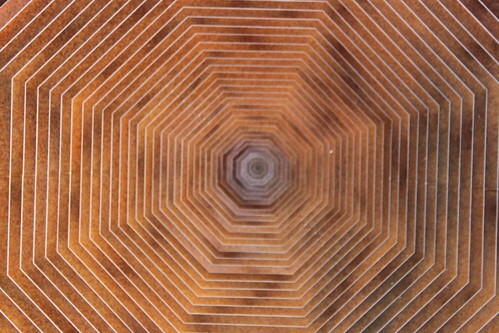 Reading Between the Lines is a project by Belgian architects Pieterjan Gijs and Arnout Van Vaerenbergh. 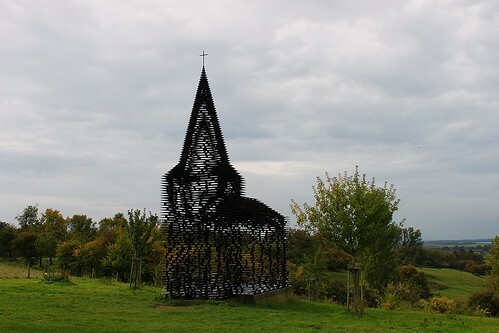 The see-through church is part of Pit, a project of Z33 - house for contemporary art - which brings art in public places. 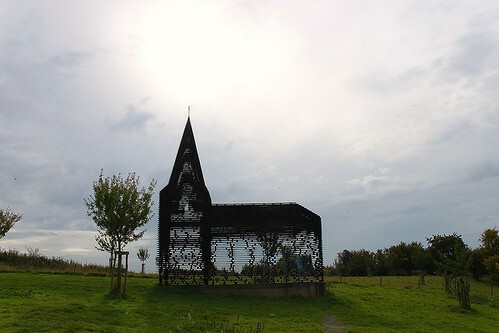 The project is 10 metres high and consists of 100 stacked layers of steel plate in the shape of a church. 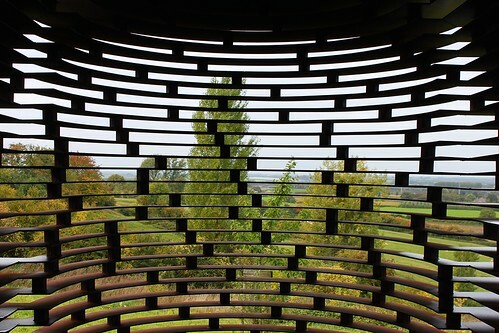 The church is transformed into a transparent object, this makes the landscape always visible throughout the construction. Location: walking path between the Sint-Truidersteenweg and the Romeinse Kassei. If you come by car, park on the parking at Sint-Truidersteenweg between Grootloonstraat and Neremstraat and continue by foot. From the parking you can follow the orange, blue, yellow or green walking route.